Standard Life Aberdeen has won a dispute with Lloyds Banking Group over a £100bn-plus investment mandate the UK bank withdrew last year, meaning that bank is likely to have to pay out hundreds of millions of pounds in fees. The tribunal found Lloyds should not have given notice to terminate the management agreement between the two firms following the merger of Standard Life and Aberdeen Asset Management. The row between two of the UK's biggest financial services providers centred on a £109bn contract and has raged for more than a year. Now that the arbitration panel has ruled in our favour, we will carefully consider our next steps, working constructively with LBG to bring the matter to resolution"
The money had been managed by Aberdeen Asset Management for years. But following Aberdeen's merger with Standard Life, the investment and insurance giant, in mid-2017, Lloyds decided it could not have the money managed by a rival insurer. SLA challenged the decision and argued that since selling its insurance business to Phoenix, it could not be considered a competitor. Lloyds decided to split the mandate between BlackRock and Schroders, with the latter set to receive £80bn. 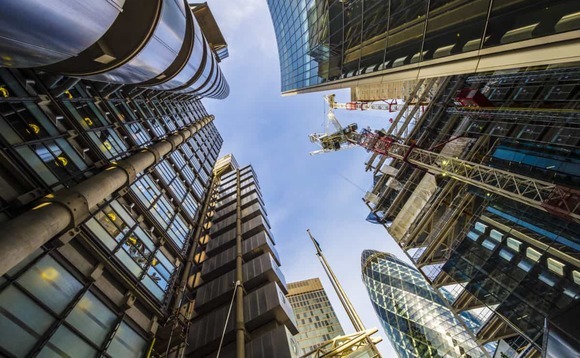 The decision represents a setback for Lloyds' foray into wealth management alongside City investment firm Schroders as the £100billion mandate was being used to get that business off to a flying start when it launches in June. Keith Skeoch, chief executive of SLA, said: "Now that the arbitration panel has ruled in our favour, we will carefully consider our next steps, working constructively with LBG to bring the matter to resolution." Lloyds has already agreed to divide up the mandate between BlackRock and Schroders, with whom it has set up a wealth management joint venture. Lloyds said it was disappointed with the outcome of the arbitration but that it would work with SLA. "Our strategy remains unchanged, which is to do the right thing for customers," it said. "We will discuss starting the process of an orderly transfer of assets to our new partners BlackRock and Schroders. We will continue to work closely with Standard Life Aberdeen to ensure there is no disruption to performance or service." Laith Khalaf, a senior analyst at Hargreaves Lansdown, the fund supermarket, said the ruling could lead to Lloyds paying hefty fees to break out of its agreement early with Standard Life Aberdeen. He added: "We think there could even be a bit of mix and match, where Lloyds pays to release some assets to get its joint venture with Schroders up and running, while leaving some funds with Standard Life Aberdeen. "We'll be watching for further details as and when negotiations are concluded."